Thank you Jennifer. It was a pleasure to work with you. Your kitchen is one of our favorites. 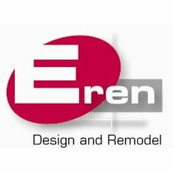 We had a great experience with the Eren Design and Remodel team in our recent remodel of two bathrooms and updating in other parts of our house. Thank you for your review Marty and Denny. As always it was a pleasure to work with you. Thank you, Paula for your review. It was truly enjoyable to work with you on your whole house remodel. Thank you Julie for the kind review. We do hope all is well. It is always a pleasure to hear from you. Thank you so much for the review Amy and Khush! We are always honored when clients come back to us for their newest project. Wishing you both all the best.